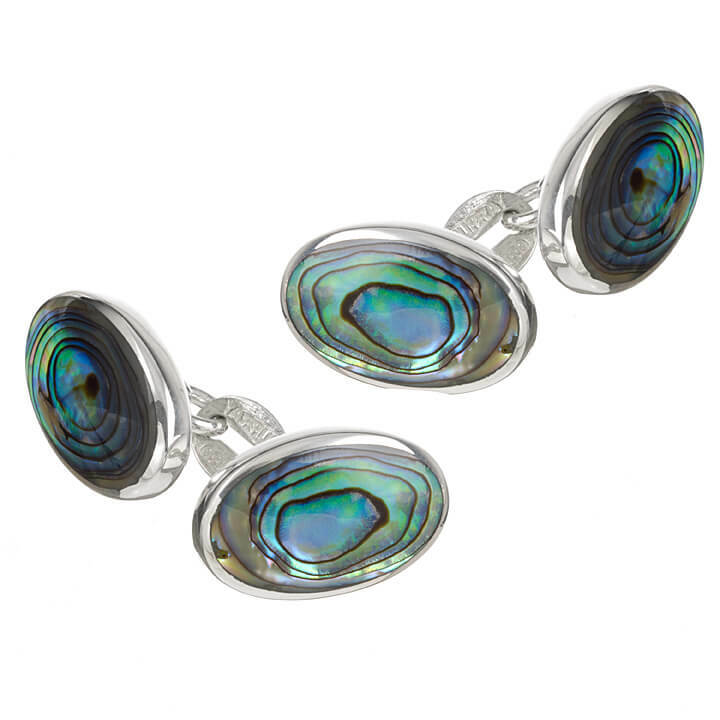 This pair of luxury cufflinks are made of the highest quality Sterling Silver and the glorious iridescent Paua Shell, sure to give a capitivating edge to all formal wear. These cufflinks are a modern classic and are certain to stand out. The perfect accompaniment for anyone wanting to add some extra personality to their formal fashion. • Paua Shell (Abalone) from New Zealand. Pair up with Murray-Ward Sterling Silver Paua Shell Dress Studs for the prefect ensemble.